Due to repairs at the City’s Water Plant on Dorrance Ln. Water will be turned off tomorrow morning beginning at 8:30 AM until 12:30 PM. The areas affected will be the 12200 and 12300 block of Dorrance Ln. 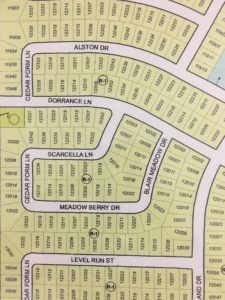 All of Scarcella Ln., Blair Meadow Dr., Meadow Berry Dr., and Cedarform Ln. We apologize for any inconvenience this may cause our residents. This entry was posted in Meadows News. Bookmark the permalink.